Great reports and information have come out of this years Enter the Citadel event. Yesterday we read a report from Mauler here on Faeit 212, and yet there is more to learn. We have a special guest also coming in to answer your questions. Please be courtious, and limit your questions to one per comment. I think I may want to go to next years event. A huge thanks to Enigwolf for linking me up on this. Excellent report. Eldar are more than elves in space. Phil and Jes clearly have a VERY good working relationship. It's evident in how friendly they are with each other, the jokes they crack, and how much they defer to the other person when it comes to different things. Eldar were designed as a "shades of grey" race - they're not "good", or "bad". Same goes with Dark Eldar. Design elements wise, there is a strong emphasis on triangles. In fact, the Eldar "shape" is a triangle, from their body, to their weapons, armour, vehicles - the triangle is the "strongest shape". It's also in Jes Goodwin's signature. Eldar and Dark Eldar are supposed to share the same, main design aesthetics. On the table top, an Eldar vehicle should look perfectly at home next to a Dark Eldar vehicle and not how an Ork would stick out in the middle of a Tau army. There are 3 Eldar "scripts" for their runes - hierographs that represent an idea, script "writing", and I don't remember what the last one was called, but it's the big square ones that represent personal heraldry. There is no English->Eldar conversion chart like there is for the Tau language. Glad they finally have the technology to make big models. There was a "gap" in the "Wraith" range going from Wraithguard->Wraithlord->Titan, and so this space was filled with the Wraithknight. The Wraithknight is scaled and inspired by the Epic 40k Knight-class of Titans. They wanted to include the 4-legged one, but it didn't fit in with the design aesthetic of the Eldar. Phil Kelly wants to see supplements done for the traitor legions and space marines. In fact, he wish he could've included more of these into the original 'dexes. Physical copy of the Farsight supplement will be available in October. Only 60% of stuff that gets developed by the designers actually ends up in the codices. The rest get put into a big pile of stuff to be looked at again in the future. Jes Goodwin is annoyed by the need to keep lots of stuff and design docs secret, he wishes he could share them with the world, as well as his sketches. Phil Kelly confirms that fluff drives the design of the race, which drives the models, which drive the rules. Talks about wanting to do an Exodite supplement. There is a lot of "Sleeping IP" from the leftover 40% each time a 'dex gets released. Phil Kelly states that a race is defined by their weaknesses as much as their strengths. An example is the Guardians, who are a "last resort" for the Craftworld. That's why their weapons are range 12". Eldar are defined as a race that is T3 S3 race, but one that has a higher Init and WS/BS. There was no point and no place for Storm Guardians within the 'dex. They had to choose between working on Wraithguards and Jetbikes. There is a fear now that they cannot release rules without models. Although they view this as a "blessing in disguise". Also, they have a lot more sculptors now, so it's all good. Supplements allow for smaller releases, and thus a faster release schedule overall. Apoc is meant to break free of restrictions. Hence, in the Allies Chart, "Come The Apocalypse" is a direct reference to all armies being allowed to accompany each other in Apoc. This was confirmed as intentional by Jervis and Phil. Some wild stuff went into the Pandorax Warzone, including dinosaurs, space boards, asteroids, etc. 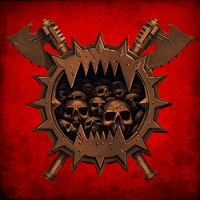 Phil Kelly initially designed a Khorne "blade" power that, when used in its first play-test game, removed 9 flyers instantly. It was awkward for all players involved, and deemed too powerful after the game. They thoroughly enjoyed working with Forge World on it, and even mused that Forge World loves them because their Titan sales spiked the first time round. Phil Kelly states that Warzones are intended to be more than "supplements", they're directly inspired by the Imperial Armour books and intended to be smaller versions of them, with fluff and background in the beginning and then rules after. Guy Haley: "Inspiration? Whiskey bottle!" -> Later corrects this joke, states that hard science fiction facts and science in general inspires him. Phil Kelly: Greek mythology. But not to the point where he is re-creating Greek mythology in space. Jervis Johnson: Military history. Particularly for the Pandorax Warzone, it was WW2 naval maps. There used to be a "Master of Disasters" role, and internally they had the guy wear a funny helmet. When it came to poses, the team decided to lock in one fixed pose that's really cool and dynamic for those who want to simply build and play with it, and have small pegs that can be clipped off to allow for full re-poseability. This is the standard for all large miniatures moving forward. Knight-class Titans are the limit before Forge World "takes over"
Big miniatures have only become really possible recently because of limitations of mould details, as well as plastic minimum and maximum thicknesses. Jes Goodwin: "We're designers, not artists". Plastics are by far the best representations of the designer's master model. They intend for plastics to fully take over from resin, metal, and finecast. They have to design for an industrial process as well as for aesthetics. This section was mostly them asking us, but there's some snippets gained from this. I suggested including an Army Builder into the e-Codices, Phil Kelly thought it was a really good idea and promised it would be noted and taken a look into. Pictures and drawings now put the perspective cloesr to the ground so that you can "appreciate the bigger stuff". Also to create the epic cinematic feel where you feel like you're on the battlefield as a commander. Phil Kelly confirms that Sisters of Battle could not be plastic moulded (and told us to check with Jes Goodwin for more information - I stupidly forgot to do so). He mentioned it had something to do with the amount of detail on every side and the way that the moulds were limited in two directions as well as their method of release. 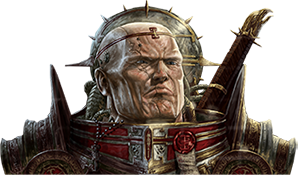 Traitor guard are "not different enough" from normal guard. Don't expect to see them. "Come the Apocalypse" was intentional. Black Library books are canon. Yes. Canon. Guy Haley is writing a new Eldar book, he couldn't talk more about it but was really excited. It is impossible to write from a Tyrannid perspective, and the closest done so far is from that of a Genestealer in Death of Integrity, and only because Genestealers were meant to interface with us. It is impossible to encapsulate and put in writing how the gestalt consciousness of the hive mind works, as every creature is part of the same consciousness across the universe and not, all at the same time. Black Library will always provide an explanation, even for things in 'dexes which are ridiculous. ANYTHING can be explained, even if it's merely "The Warp Did It". An example of this is Kaldor Draigo carving the name on Mortarion's heart. This is being written by a BL author right now, apparently it's believable as to how it happened. Graeme Lyon confirms that the universe will never advance to M42, and will always stay at 999.M41. If they run out of things to write about in M41, they'll look back and visit other timelines like the Badab War, the Age of Apostasy, etc. The way Phil Kelly explained it to me, they aren't going to "axe" any 'dexes. Hence why the Daemonhunters and Witchhunters transition to Grey Knights particularly puzzled him and other devs. Well aware that it upset people too, and he himself played Daemonhunters. A lot of newer sculptors sculpt straight on the computer and don't use physical sculpting, and so building things out of putty, plasticard, etc. is seen as a "dying" skill. There is an internal joke/competition of how well Jes Goodwin manages to make the symmetry of his models when they are scanned in. The last one, the Eldar flyer he made, elicited responses of "How did you do that?! That's not possible!!!" The Tesseract Vault is HUUUUUGE when opened. It was easily larger than the length of my hand and fingers, and I used to play the piano. Even GW writers have amazingly painted armies. Phil Kelly is sad that his hierophant's stand went missing, so its legs are starting to warp from the weight now. Phil Kelly, as well as other designers, are not worried about the advent of 3D printing. Tech is still too far away to be used for the fidelity of scale miniatures. Phil Kelly loves daemon engines. He also loves converting and kitbashing them, as evident by his Iron Warriors army. Looking at the above 3 statements, I am a Phil Kelly fanboy. I want to frame a picture I have with him lol. Were I a Sisters player I'd be feeling optimistic after reading this, because at least it looks like they're still in the minds of the studio staff. You never know, the part about them never being switched over to plastic could even, if you Sisters players are lucky, lead to them getting a relaunch from the ground up à la Dark Eldar. I didn't see Alan Bligh unfortunately. />/> He wasn't at the event, but you definitely should have come! I literally had Phil Kelly to myself for all of 20 minutes to quiz about Eldar development, quizzed Jes on a lot of his more classic designs, as well as explain Eldar runes in-depth (as well as his signature, which looks like an Eldar rune!) Talked a lot with Guy Haley about the new Chaos 'dex, too. Talked a lot to Jervis about Planetstrike and Apoc. Beaucoup d'informations et de nouvelle en provenance de l’événement "Enter the Citadel" de cette année. Hier nous avons eu un rapport de Faeit212 et pourtant il en reste encore. Les eldars sont plus que des elfes de l’espace. Phil et Jes ont clairement une TRES bonne relation de travail. Il est évident qu'ils sont bons amis à voir comment ils se comportent l'un envers l'autre, les blagues qu'ils lancent etc. Les eldars ont été conçus comme une race "grise" : ils ne sont ni bons, ni mauvais. Pareil pour les eldars noirs. Les eldars ont été en développement durant les 10 dernières années. Au niveau design, il y a un fort accent sur les triangles. En effet, la forme caractéristique de l'eldar est le triangle, de leur corps à leurs armures, armes et véhicules. Le triangle est également la marque de fabrique de Jes. Les eldars et les eldars noirs sont supposés partager un design esthétique commun. Sur la table de jeu, un véhicule Eldar semble parfaitement à sa place a coté d'un véhicule eldar, à la différence par exemple d'un véhicule ork au milieu de Tau. Il y a trois écritures possibles pour les runes eldars : les hierographes représentant une idée, l'écriture pour les textes (phrases etc...) et les héraldiques personnelles. Il n'y a pas de tableau de conversion Eldar -> [inserer langue ici]. Les concepteurs ont été ravis d'avoir enfin la technologie pour créer de grosse figurines. Il y'avait un chainon manquant dans la gammes des "fantômes" Garde->Seigneur->Titan et ce chainon est devenu le Chevalier. Le chevalier est inspiré (au niveau taille et design) par les Titan de classe Chevalier d'Epic40k. Ils voulait inclure la version à 4 jambes, mais cela ne collait pas à l'esthétique eldar. Le supplément Iyanden n'était pas réellement prévu mais était un sujet fréquemment débattu en interne. Phil Kelly veut des suppléments pour les legions renegattes et les spaces marines. En fait, il souhaiterai qu'on en inclus plus dans les codex de base (NdT : de la même manière que la Zone de Guerre : Armageddon dans Apocalypse). La copie papier des Enclaves Farsight sera disponible en Octobre. Seulement 60% des choses développées par les designers finissent dans les codex. Le reste rejoint une pile d'idées dans laquelle puiser dans le futur. Jes est énervé par le fait qu'il doit garder beaucoup de choses et de concepts secrets. Il souhaiterait pouvoir les partager avec le reste du monde. Il y'a deux étape de test : une en interne pour avoir le ressentit des designers, puis une en externe avec les non designers et les devs de GW. Ils utilisaient des joueurs de tournois pour leurs tests préalable mais se sont rendu compte du risque important de fuite. C'est pourquoi ils font désormais tout en interne. Transe guerrière est une idée de Matt Ward. Phil confirme que c'est le fluff qui a guidé le développement de la race, qui a guidé les figurines, qui ont guidés les règles.Il souhaiterait faire un supplément "Exodite". Phil dit qu'une race est définie par ses faiblesses autant que par ses forces. Par exemple, les Gardiens sont le dernier recourt d'un Vaisseau Monde, c'est pourquoi leurs armes ont portée 12pas. Les eldars sont conçus comme une race E3/F3 mais avec une I/CC/CT supérieure. Il n'y avait ni place ni raison pour inclure les gardien de choc dans le codex. Les règles du système de jeu affectent toujours les règles d'un codex ( par exemple le fait que les psyker Eldar doivent générer aléatoirement leurs pouvoir psy en dépit d'être des maitres en la matière. Ils ne peuvent rien y faire : c'est l'équilibre de jeu avant tout). Ils ont dut choisir entre travailler sur les motojet ou sur les gardes fantômes. Ils sont un peu inquiet du fait qu'ils ne peuvent plus sortir de règles sans les figurines adaptées.Cependant ils voient également cela comme une bonne chose car ils ont beaucoup plus de sculpteurs maintenant. Les supplements permettent de petites sorties et par conséquent un planning de sorties plus rapides. Apocalypse a été concu pour être plus fun cette fois ci. Le seigneur de guerre doit être la projection du joueur sur le champs de bataille. Apoc signifie la fin des restrictions. Dans la table des alliés, la mention "Pas avant l'Apocalypse" était une référence délibérée. Les vieilles fiches reviendront dans les Zones de Guerres. Apoc signifie être facile, fun et n'a été limité que par la taille du livre et l'imagination des joueurs. Phil avait initialement développé un pouvoir de Khorne qui, lorsqu'il a été utilisé, a retiré 9 volants instantanément. Cela a "choqué" les joueurs présent et été jugé trop puissant aprés la bataille. - Guy Haley : "une bouteille de Whisky ! ". Il a sérieusement évoqué la science fiction et la science en général. - Phil Kelly : la mythologie grecque. Mais pas au point de recréer la mythologie grecque dans l'espace. - Jervis Johnson : l'histoire militaire. Pour la Zone de Guerre : Pandorax, la guerre navale de la Seconde Guerre Mondiale. La Riptide a été volontairement designée avec un réacteur dorsal asymétrique: un coté contient le réacteur Nova, l'autre coté le réacteur standard. Au niveau des poses, l'équipe a décidé de verrouiller les poses les plus dynamiques pour ceux désirant simplement les assembler et jouer avec. Cela est représenté par les petits bouts de plastiques qui peuvent être retirés pour plus de choix. Les Titans de classe Chevalier sont la taille maximum avant de devoir passer à Forge World. Une blague a été faite sur le Porte avions volant des tyrannides (Harridan). Les grosses figurines n'ont été rendue possible que récemment, à cause des limites des moules et de l'épaisseur du plastique. Certaines techniques de moulage par injection n'ont pas été achetées par GW car extrêmement couteuse donc il reste encore de la place pour des améliorations futures. Le plastique est le must pour le respect de la figurine modèle du designer. Ils ont l'intention de remplacer la résine, le Finecast et le metal par du plastique. Ils doivent designer autant pour l'esthétique que pour l'industrie (I.E : ca doit être beau mais aussi productible en masse). GW a plus de sculpteur = plus de figos = sorties plus rapides ! Les devs sont également ravis de l'augmentation du rythme de sortie. L’intégration d'un army builder aux codex numériques a été mentionnée par le rapporteur. Phil Kelly a trouvé l'idée excellente et a promis qu'elle serait étudiée. Les images et les dessins sont maintenant "plus prés du sol" (NdT : Contre-plongée) pour mieux apprécier les gros engins à disposition ainsi que pour créer une impression très cinématographique afin de ressentir ce que l'on ressent en tant que commandant sur le terrain. Phil a confirmé que les Soeur de batailles ne pouvaient pas être plastifiées. l'auteur n'a pas tout noté mais cela aurait a voir avec la quantité de détails sur tous les cotés, au fait que les moules sont bidirectionnels (j'aurais plutôt dis bivalves mais bon ====>  ) ainsi qu'a leur méthode de sortie. Les gardes renégats sont trop proches des GI loyalistes => pas de sorties. 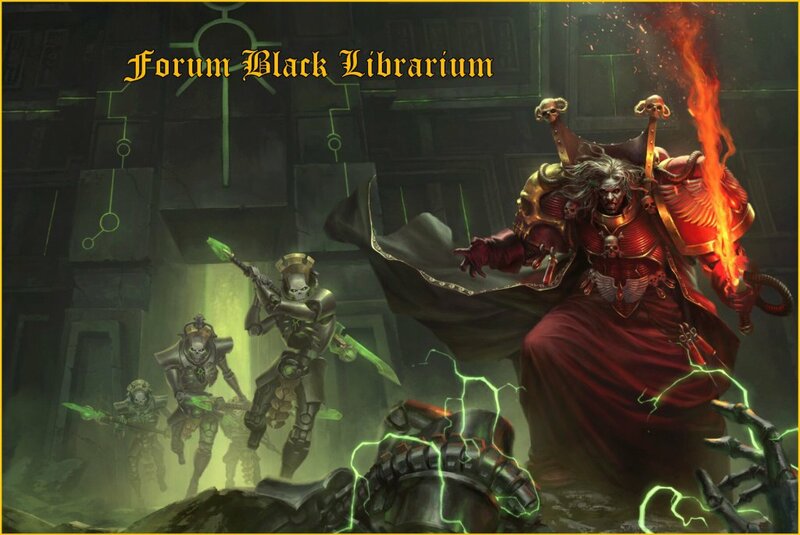 Black Library a récemment regroupé sous un même toit ses écrivains et les rédacteurs de flouff de Citadel, permettant de rendre le fluff plus consistant et plus cohérent. Leurs bouquins sont incontournables (NdT : c'est la meilleure traduction que j'ai). Guy Haley est en train d'écrire un bouquin sur les eldars. Il n'a pas pu en dire plus mais il était trés excité. Il est impossible d'écrire du point de vue des Tyrannides, le mieux qui puisse être fait est d'être du point de vu d'un Genestealer dans Death of Integrity et seulement parce que les Stealer sont supposés interagir avec nous. Il est impossible de synthétiser et d'écrire la manière dont pense l'esprit de la ruche car chacun de ses enfants est la même entité au même moment dans tout l'univers. BL donnera toujours une explication à ce qui se trouve dans les dex, même les points les plus farfelus. TOUT peut être expliqué, même par un simple "Ta gu**** c'est le Warp". Le meilleur exemple est la manière dont Kaldor Draigo a écrit son nom sur le cœur de Mortarion. Un auteur de BL écrit la dessus en ce moment et la manière dont c'est arrivé semble plausible. Graeme Lyon à confirmé que l'univers n'atteindrait jamais M42 et serait toujours à 999M41. S'ils tombent à cour d'idée sur M41, ils regarderont en arrière pour étudier d'autres moments comme la Guerre de Badab ou l'Age de l'Apostasie. Phil Kelly aurait expliqué qu'il ne contait pas "axer" les codex. Ce qui a été fait pour les chasseurs de démons et de sorcières en a dérangé plus d'un parmi les devs. Il est bien conscient que cela a embêté les joueurs, puisqu'il joue lui même Chasseurs de démons". Le prototypage rapide est très utilisé par GW. Beaucoup de nouveaux sculpteurs design directement à l'ordinateur sans passer par la case figo test et par conséquent construire des figos directement depuis de la carte plastique est vu comme un art en voie de disparition. Cela suscite des blagues et une compétition en interne pour savoir comment Jes fait pour que ses figos soient symétriques une fois scannée. La dernière en date, le volant eldar, a provoqué des réactions du type : "Comment t'as fait ca ? c'est impossible !!!!" La Crypte Tesseract est vraiement GROOOOOOOOSSE quand elle est ouverte. Elle est facilement plus large que la main et les doigts du rapporteur, qui est pourtant un pianiste. Même les écrivains de GW ont des armées vraiement bien peintes. Phil Kelly dit que le support de son hiérophante était manquant et que donc ses jambes se barrent en couilles. Il n'est pas très inquiets de l'impression 3D, estimant la technologie encore trop peu avancée pour restituer des figurines de facon fidèle. Phil adore les machines démons, qu'il s'amuse à convertir et a créer de toutes pièces pour son armée d'Iron Warriors. Voilà! Pas mal d'info à digérer! Alléluia, hâte de voir ça! Ouep, espérons un Knight pour la GI et/ou un gros walker sympa pour les SM, c'est plausible! Franchement de ce coté là il serait vraiment temps que ça bouge... et bah ça sera pas pour tout de suite.... espérons une révision de cette position d'ici quelques années. Que ça évolue (rien qu'un peu, un ou deux siècles ça serait pas la mer à boire hein) ça ferait le plus grand bien au fluff en ouvrant quelques portes. Que de bonnes nouvelles, c'est vrai que le moulage par injection plastique est un art délicat, chapeau aux ingénieurs! M42=Fin du monde=Fin de GW?? C'est bête j'aimerais savoir quelle entité fait fuir les 'nids! Les news BL, n'en sont pas vraiment car on sait que le fluff est maintenant écrit dans leurs livres (avec les bourres qu'ils apportent), concerant les livres Badab's War, et l'Âge de l'Apostasie, les gars du Reclu en avaient eux aussi parlé après le BL Weekender (ou c'était une conversation avec Maestitia, bref). Les figouzes en full plastique c'est l'idée depuis presque 10 ans. Faut savoir aussi que le finecrap a été une solution de dépannage suite à une augmentation conséquante du prix de l'alliage métal dont étaient faites les figurines Citadel. Putains de spéculateurs, c'est de leur faute la résine de meiiirde! Notez que ça ne compte pas la gamme FW. L'univers n'attendra jamais M42 ? Salopards de conservateurs ! Mais ils avaient pas déjà foutu quelques dates de M42 dans je sais plus quelle timeline ? Sur le lexicanum, seulement les parutions de livres utilisés pour Cain ou ceux de Cain lui même et la chute de Medusa V situé en 006M42 (lexicanum anglais). Sur le lex FR, une seule date, plus que douteuse, sur l'édition d'un "guide de l'imperium" fin M42. A part Medusa V, donc, rien de véritablement important. Mais que de rumeurs par contre! Le Segmentum Pacificus ne répondant plus après la "Night of a Thousand Rebellions" en 992.999M42, la Treizième Croisade Noire et surtout ses conséquences, les vices trouvés sur le Trône d'Or, l'Astronomican qui devient de plus en plus faible, cette fameuse menace faisant fuir les tyranides dont parle Arkheus..... Quid de tout ça?? Et puis surtout et par les coui***s de l'Empereur, qu'est ce qui les empêche de se pencher sur le passé sans pour autant bloquer le futur??? Bon, vous me répondrez: "rien ne t'empêche dans ton coin de fan de te faire ta petite histoire en M42", c'est vrai, et ils y ont sûrement pensé. Mais malheureusement pour moi, je suis quelqu'un qui ne jure quasiment que par le fluff cannonique, donc il me faut des bases officielles, de quoi évoluer autre part que juste dans mon coin!... Et je ne suis sûrement pas seul! Enfin... Rhaaaa! Je vais non pas dans mon coin, mais dans mon bureau inquisitorial éditer une Carta à l'encontre de ces salopiauds de développeurs qui laissent tomber tant de questions sans réponses! Grrr! Pffff bon il à utilisé le mot "jamais"... ça fait peur mais c'est quoi le diction encore? Ah oui: "Il ne faut jamais dire jamais!" ... on en reparlera dans quelques années, leurs position aura peut être évoluée sur ce point. Le côté dramatique est intéressant, c'est indéniable....mais tout comme l'a été l'Hérésie, l'Apostasie, j'en passe et des meilleurs... C'est clair et net que de grapiller quelques dizaines d'années sur M42 ne les auraient pas tué, surtout rapport à ce que tu dis très justement plus bas! Voilà ce qui me vexe le plus! La campagne Treizième Croisade Noire avait un potentiel de ouf, et des promesses de ouf, puis... on en parle plus, c'est pas arrivé! Ah! Quoi?! Au bûcher! Une si belle occaz'! Quel gâchis.... Pour ceux qui suivent mes écrits d'ailleurs, les conséquences de la Treizième et les troubles qui s'en suivent sont les bases de mes histoires et de ma trame, et maintenant, dans ma volonté de rester dans le "canonique", je dois tout revoir? Bloody Hell! C'est frustrant à un point!... En tant que fan, on se sent floué, ça frise l'irrespect... Mais bon, comme tu dit juste après, pendant longtemps aussi il n'était pas question de parler des deux Primarques disparus par exemple, et on commence à en voir le bout... L'espoir fait vivre, mais là tout de suite, on a vraiment envie de leur envoyer en gros, gras, souligné et bien en vu le célèbre mot du Général Cambronne! BlooDrunk a écrit: Pffff bon il à utilisé le mot "jamais"... ça fait peur mais c'est quoi le diction encore? Ah oui: "Il ne faut jamais dire jamais!" ... on en reparlera dans quelques années, leurs position aura peut être évoluée sur ce point. Je m'en vais de ce pas brûler un cierge et quelques millions d'hérétiques pour que l'Empereur exauce cette prière... le plus vite possible! 999.M41, c'est le passé. M31-M40, c'est l'avenir ! L'histoire de l'imperium est bien assez vaste pour qu'ils nous inventent plein de belles guerres avec des trucs disparus comme des chapitres 2nd Fondations datant du M31 et disparus..
Mais du coup ils déprécient tout leur fluff M41. @info du Lexi.fr M42 = elle est exacte ! Regardez juste en bas de cadre les tout petits caractères.. ^^ (je viens de vérifier sur le livre de règles V3 p.12). Ce qui n'empêche pas que ce peut être une erreur de typos de GW. Pour ce qui est du passé, soyons honnêtes, oui cela fera grand plaisir d'en savoir plus et de (re)découvrir des périodes méconnues et tout ce qui a gravité autour. Ce qui me fait peur, notamment avec les nouveaux fluffs (et j'insiste sur le cas des nécrons), c'est un remaniement brutal de certaines notions (les C'tans par exemple, une fois encore) qui pourraient bouleverser ce qu'on connaît déjà. J'espère que ce ne sera pas le cas et qu'ils sauront distinguer l'avant de l'après. A mon avis, il ne serait d'ailleurs pas surprenant qu'ils poursuivent sur la lancée de l'HH pour réexplorer le fluff d'après hérésie jusqu'en M41 (par exemple Chapitres 2nd Fondation comme tu l'as indiqué). On verra bien! Ah bon ya des vices cachés?? Où puis je en savoir plus? Ben je pense que les nécrons ils faisaient dodo, ils vont pas s'embêter sur ce côté du fluff les bougres! J'espère que GW et W40k auront encore de belles années devant eux! J'espère que dans 20 ans je serais encore accroché à cet univers et à engraisser leurs porte monnaies! Oui c'est des pistes, d'ailleurs il avait été confirmé qu'il y aurait surement des séries de livres sur les Guerres d'Unification et le début de la Grande Croisade (paroles du prophète Dan Abnett himself), même si ça m'emballe énormément je n'en veut pas moins du M42 , la suiiiite! Please! Arkheus: pour ce qui est des nécrons, au temps pour moi, tu as tout à fait raison! l'éveil des nécrons est très récent. D'ailleurs, on peut dire la même chose des Tau, arrivés très récemment, et des Flottes Ruches Tyranides, itoo! Pour ce qui est du Trône d'Or, il est noté dans la chronologie 40k que fin M41, des dysfonctionnements irréparables ont été découverts sur le Trône d'Or (pas plus d'indication ou d'explication), ce qui, je trouve, coïncide pas mal avec le fait qu'il est noté aussi fin M41 que l'Astronomican décline (la zone de son influence se rétracte) et que certaines zones (comme dans tout le Pacificus) sont ébranlées par des guerres d'indépendance. En gros, ça sent l'roussi! Donc raison de plus pour plussoyer Ghost, revisiter le passé (enfin du coup pour les factions qui le pourront) c'est bien, nous offrir la suite de l'histoire c'est très bien aussi!! M42 est d'un suspens insoutenable et blindé d'opportunités qui plus est! Je pense quand même que au point où ils en sont, GW peut très bien gérer le futur et le passé en même temps niveau fluff (niveau sortie, je sais bien que c'est plus délicat...). Et puis merde, cette histoire de nécrons me taraude! A quoi bon sortir un codex avec un fluff flambant neuf et récent dans la chrono 40k si c'est pour ne pas aller plus loin?? "Hé les gars, on a un Über Protocole qui pourrait signer la fin de l'Humanité ou son salut. Inutile d'en attendre d'avantage. Cordialement." Je suis d'accord avec toi Turielo, je crois que le fluff des tyranides, des nécrons, des taus se situe M41 (dites moi si je me trompe). Le premier contact 'nids c'est avec la ruche behemoth en 741.M41 (planète tyran si je ne m'abuse), les nécrons je ne sait plus, les taus ont été découverts en tribu primitives puis ont évolués rapidement (je l'ai survolé dans le codex Tau). Donc au moment et/ou à partir de la fin de l'hérésie, je ne sait pas ce qu'ils vont pouvoir nous pomper. Des nouvelles races? M42, expansion du chaos, implosion de l'Imperium---> victoire du chaos et mort de l'empereur? je serais vachement déçu. M42: On va enfin découvrir le projet de l'alpha légion.... ou pas. Au fait sur Fenris, les Krakens sont des tyranides d'une ancienne ruche? J'ai lu quelquepart que Russ à attraper un kraken et l'a relâcher car il était trop petit quelque chose dans le genre. Quelqu'un peut me renseigner svp? Afin d'éviter trop les HS ici pour discuter plus amplement de tout ça je vous propose d'ouvrir un topic "M42" en section fluff Q/R.